The Government today welcomed the release of more environmental data by TOTAL relating to the ongoing gas release at the Elgin wellhead platform. TOTAL has made available on their website the summaries of the aircraft surveillance flights that have been carried out since the beginning of the Elgin gas leak incident and the analysis of seawater samples collected from the sea surface near the installation in areas affected by the release. The aerial surveillance flights indicate that the sheen is dispersing naturally, and the analyses confirm that the sheen consists of a lightly weathered condensate that is expected to have a minimal environmental impact as it will evaporate and be dispersed in the water column within a fairly short period of time. The Government Interest Group has set up an Environment Group to review and share information between government and industry environmental advisors, to supplement the good flow of information that has been provided by TOTAL since the beginning of the incident. The intention is to ensure that environmental issues and monitoring continues to be an integral part of this operation. Following the group’s first meeting yesterday to consider the latest information, it was concluded that the risk to the marine environment remains minimal. The Environment Group brings together representatives from the Department of Energy Climate Change (DECC), the Health and Safety Executive (HSE), Marine Scotland (MS), the Joint Nature Conservancy Committee (JNCC), Health Protection Scotland (HPS), Scottish Natural Heritage (SNH), Food Standards Agency Scotland (FSAS), Maritime Coastguard Agency (MCA), SEPA and in this case the relevant operator TOTAL. The environmental data released by TOTAL can be found on the company’s website. 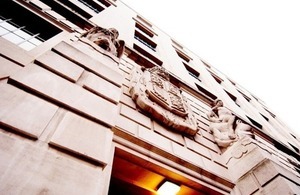 The Government has appointed The Secretary of State’s representative (SoSRep) to provide overall direction for salvage, intervention and the prevention of marine pollution incidents involving ships or offshore installations. More information can be found on the DfT website. The Government Interest Group (GIG) has been established to allow an interchange of information and informed decision making between all relevant parties. Membership includes the Secretary of State’s Representative (SoSRep) and representatives from DECC, the Health and Safety Executive, the Maritime and Coastguard Agency and Marine Scotland (part of the Scottish Government). The Environment Group it is a long-standing procedure which provides environmental advice and support during marine incidents as required and is constituted by SoSRep or MCA underthe National Contingency Plan. In this particular case, it was set up on an ad hoc basis to advise and support the Government Interest Group.